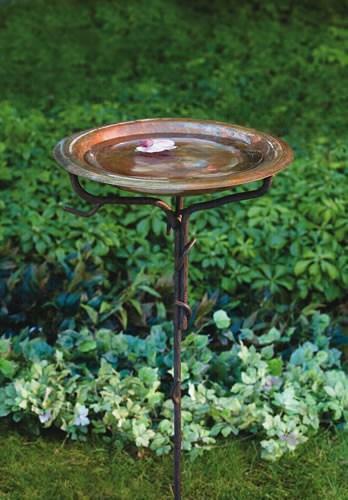 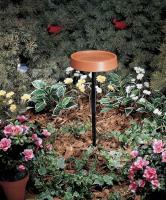 Solid copper birdbath with Twig-like base (KD). 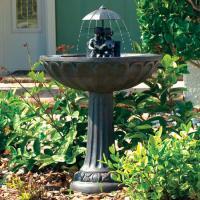 The actual measurements of the bird bath are 14.5 x 14.5 inches. 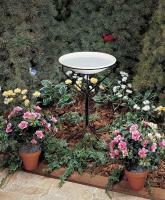 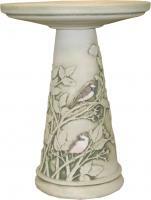 The stand is 36 inches high and 12.5 inches in diameter.